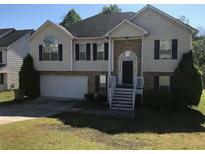 Find Rex, GA Condos for sale. View Photos, Maps and MLS Data Now! Perfect For Your Family - This Home Is Ideally Positioned In Close Proximity To Shopping, Dining, Entertainment And Travel Experiences! MLS#6537719. Century 21 Connect Realty. The Search Is Over!Well Maintained 3 Bedroom, 2 Bath Home With Everything You'Re Looking For!Bright & Spacious Floor Plan, Perfect For Entertaining With An Open Kitchen/Dining/Living Area Complete With A Double Sided Fire Place,Laminate Hard Wood Flooring,Vaulted Ceilings, Beautiful Wood Cabinetry & A Breakfast Bar!There Is Also A Cozy Bonus Room With Storage Closet, Perfect For A Small In Home Office!The Split Bedroom Plan Offers A Private Retreat For Everyone In The Family!Large Master Suite With Walk In Closet & Vaulted Ceilings,Nice Master Bath! See This Home Fast! 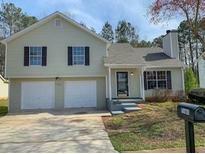 MLS#6537749. Maximum One Greater Atlanta Realtors. Move-In Ready Just Needs Some Cosmetic Updates. MLS#6535812. Duffy Realty Of Atlanta. 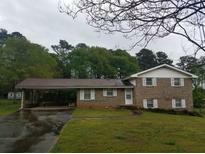 Ranch Home On A Full Basement, Private Wooded Backyard Lot. Needs Complete Renovation. MLS#6534187. Palmerhouse Properties. Walk Out To Back Yard With Wooded Views And A Beautiful Deck. MLS#6532154. Mark Spain Real Estate. The Front Patio Is Ideal For Coffee In The Morning. Don'T Miss Out! 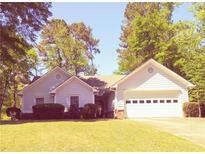 MLS#6530870. Exp Realty, Llc..
Come See. This One Won’T Last! 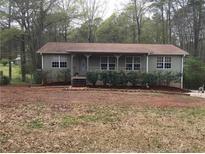 MLS#6528037. Palmerhouse Properties. Great For A 1St Time Home Buyer Or An Investor. MLS#6526910. Solid Source Realty Ga, Llc.. This Vintage Brick 5 Bedroom, 3 Bath, On A Partial Unfinished Basement, With New Luxury Vinyl Plank Flooring On The Main, A New Samsung White Refrigerator, And Screened In Above Ground Pool Home In An Established Community Can Be A First Time Homebuyer'S Jewel Or An Investor'S Instant Cash Flow With A Touch Of Tlc... Huge Potential, Affordably Priced!! ! 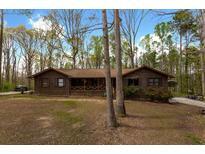 MLS#6524782. Crye-Leike Realtors. Home Warranty Provided. Vacant And On Supra. MLS#6522720. Keller Williams Realty Atl Part. Investors Welcome Looking For Rental Portfolio. MLS#6523286. Crown Realty Group. House Is In Good Condition And Shows Well. MLS#6522140. Bhgre Metro Brokers. All Of This Luxury At A Great Price !! ! MLS#6521626. Best Realty, Llc.. This Won'T Last Long. Priced To Sell. 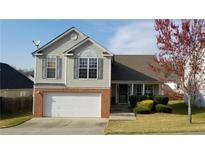 MLS#6519180. The Homestore, Llc..
Investor Welcome To Make Extra Income . New Roof Recently Replaced. MLS#6518977. Homemax Realty, Inc..
Fenced In Backyard Perfect For Pets . 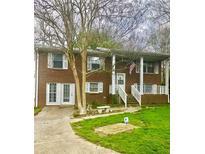 MLS#6519000. Homemax Realty, Inc.. Newer Roof And Freshly Painted Interior. MLS#6515394. Keller Williams Realty Intown Atl. March 17Th, 3P-5P- Join Us For Some Green Treats! MLS#6515079. Palmerhouse Properties. Ready For You To Move In, Or Renovate To Your Liking. MLS#6512533. Keller Williams Realty Atl Part. Backyard Is Perfect Size For Entertaining And/Or For Children To Play. Must See!! ! MLS#6510051. Re/Max Advantage. Enter Into A Big Open Living/Dining Room Combo, Great For Entertaining. Plenty Of Storage Space Throughout. MLS#6508574. Keller Williams Realty Atl Part. 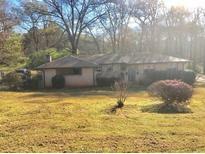 Nice Size Yard With Plenty Of Nature Surrounding. 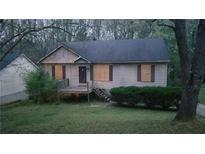 MLS#6507410. The Real Estate Office Inc. Convenient To Shopping And Public Transportation. MLS#6507233. The Real Estate Office Inc.
Back Inside, Enjoy A Large Owners Suite With Walk In! MLS#6502125. Exp Realty, Llc..
Stop By Today, Fall In Love And Make It Your New Home. MLS#6502544. Real Estate Gurus Realty, Inc.. These statistics are updated daily from the Georgia Multiple Listing Service. For further analysis or to obtain statistics not shown below please call EasyStreet Realty at 404-998-4058 and speak with one of our real estate consultants.